Home Entertainment Analysis: Who loses between Spart TV and the Live Wire presenters? Analysis: Who loses between Spart TV and the Live Wire presenters? 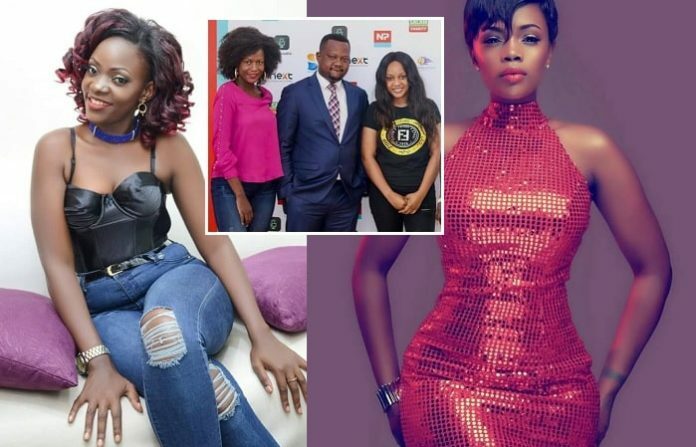 Last week, Spark Tv, a sister television to NTV Uganda was hit hard after the departure of two of its popular and strong presenter Zahara Toto and Natalia of the popular Live wire TV show that airs every evening on Spark TV. Like Douglas Lwanga, MC Kats, Anita Fabiola and other presenters who recently threw in the towel and joined the Kamwokya based NBS television; the gossip also joined Next Media. 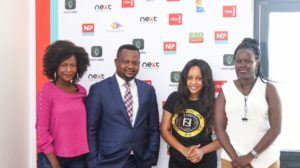 Next Media is an abroad media company made up of several media subsidiary companies like NBS TV, Sanyuka TV, Next Radio, Nile Post and Salaam Television among others. Sanyuka TV, a less known Luganda local television through Mr. JOE Kigozi recently acquired the duo to join the rest of the presenters to boost and improve on its viewership. According to Joe Kigozi, Next Media aims at recruiting all the best presenters in the industry to be able to dominate all other media companies. But after quitting Spark TV due to low pay, Zahara and Natalia have received mixed reactions from both their fans and critics where some think it was a nice move since it will put money in their pockets while others saying it was too fast since majority of Ugandans were just starting to love this show and therefore there is a possibility of losing their audience to others. It should be remembered that the same audience they have just ignored belonged to the gossip queen Mary Luswata who prematurely left Urban TV’s Scoop on Scoop and permanently disappeared from the scene. Ever since then Luswata has tried to comeback on the scene but in vein. First of all, you should admit that Live Wire presenters are overrated because we have already seen more successful and well informed gossip presenters like Mary Luswata, Kasuku of Dembe FM and Spark TV and others. Truth be told the duo has only recently obtained audience and most especially lower level people most especially in the markets, shop keepers and people in areas like Kawempe, Bwaise, Nankulabye, Zzana and these people are scared of change and are less interested to remain loyal to their presenters. This audience can hardly tell the names of the presenters even after watching them for months, all they care about is the information you provide and therefore they can broadly decide to continue watching Spark TV even on departure of these ‘stars’. Spark TV’s move to recruit another duo to continue with the show was well informed since many of the gossip lovers will not even tell that these are different presenters. Unless Natalia and Zahara Toto are willing to offer more than just gossip, the audience may not shift from Spark TV to Sanyuka TV a less known boring station. They should add more value to their gossip in order to attract more people to watch their newly founded show or collapse at the beginning. While talking to one of the informed journalist around Kampala about the future of Spark TV’s Live wire, I was surprised about his reply and he provide a strong reason. He believes the future of Live wire is BRIGHT. He thinks that the new less known duo actually acts professional, dress decently and is not influenced by money, fame, or even men. He thinks that if they continue to expose that professionalism, Spark TV will never ever regret the loss of Toto and Natalia. About Spark TV and NTV Uganda, they should stop being an academy for Next Media since they will contionusly lose their audience that will never be obtained again. They should improve on the pay, promote and motivate their staff among other benefits. In my view, in this case Zahara Toto and Natalia lost, Why? The duo had just started obtaining a loyal audience where they had just started recognizing and knowing them as good presenters but they just disappointed their people for the love of money. Many presenters have joined Next Media the past few years and most of them have lost it, what is promised by Kaliisa is actually not delivered and they are given less time on air unlike their former employers. They had started on building on a hard and strong wall but they destroyed it in a decision they may regret for the rest of their lives. This looks like a demotion, from Spark TV to Sanyuka TV. It looks like almost no work done. It’s a matter of time, everything will be revealed. The views explained above and owned by Paul Wetaase not Flash Uganda Media as a company.